I've heard so many raves on IT Cosmetics and it is a pleasure of mine to finally see this brand at Sephora! Because of that, I was able to test out a couple of their bestselling makeup products! Both reviews earned thumbs up from me and will this brand earn another thumbs up from AMW? Check out this photo and you'll know the answer! It Cosmetic’s best-selling eyebrow pencil matches all hair colours and covers gray. An oval tip defines both thin and thick brows, while the spooley brush finished for a natural look. Developed with leading plastic surgeons, proprietary anti-aging technology infuses a blend of brow-conditioning ingredients, while an exclusive shade adjusts to your hair colour based on applied pressure. The pencil comes with a spoolie on one side and a retractable brow pencil on the other. 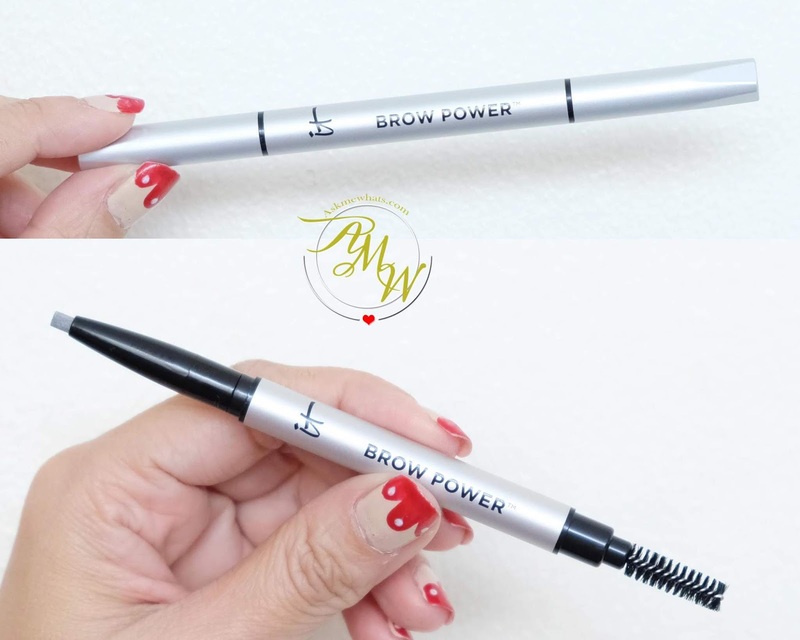 It has a soft tip formulation, you only need to swatch at the back of your hand for first use as the tip tends to be harder than the rest of the pencil. Now let's talk about the pencil itself, formulated with brow enhancing and conditioning benefits, it is paraben-free, fragrance-free and phthalate-free making this a great product for those with extremely sensitive skin. 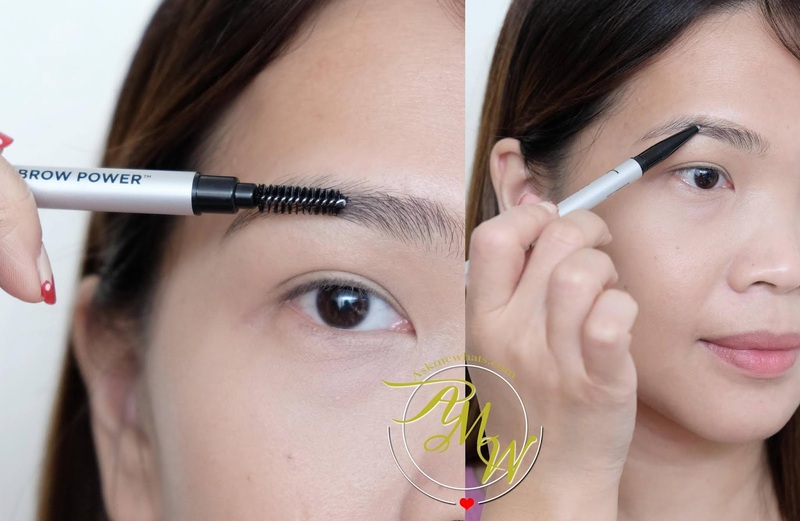 Application technique is quite easy, use the spoolie to brush hair and gently apply mimicking the direction of growth of your brow hairs. Yes, other brands may have the same effect or the same longevity BUT, what sets IT Cosmetics Brow Powder apart is how natural it really looks! Even without makeup on and just this product, people can't tell I have makeup on and I don't look like I have "floating brows" like how other makeup brands would appear. Yes, you are paying for the shade and also the formulation. The best part? The pencil is easy to use at the same time, it doesn't finish up quickly like other brands of brow pencils I've tried! That said, pigmentation is really good so you only need to apply a little for both eyebrows thus making this pencil lasts longer. If you are aiming for extremely natural-looking brows and have the budget for it, do give this a try! What's your most expensive brow pencil to date?